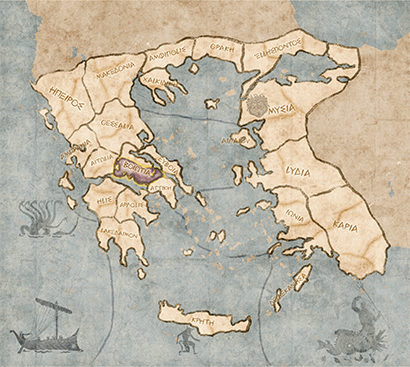 Occupying a position of strategic importance on the Gulf of Korinthos, Boiotia has strong frontiers and trade connections across the region. Thebai, its predominant city and capital of the Boiotian League, was a religious confederation at first, but is now chiefly concerned with mutual defence. The city’s surprising support of Persia during its second invasion caused Thebai's temporary displacement as the League’s leader, before perceived Athenian imperialism led to its reinstatement by Sparta. Ten years of Athenian occupation followed before the Boiotians won their independence at the Battle of Coronea. Despite a negotiated peace, the reformed Boiotian League's enmity towards Athenai continues unabated. Now, fuelled by its rival's interference in Korinthian colonial matters, the Boiotians are poised – along with its allies Sparta and Korinthos – to end Athenai's empire-building once and for all! Plataea is famous as the site where the Persian invasion was decisively defeated on land in 479BC. It, like many cities in Boiotia, remains a rival of Thebai. A rival of Thebai since Mycenaean times, the city of Orchomenos joined the Boiotian League around 600BC. Nevertheless, the two cities continue to compete. 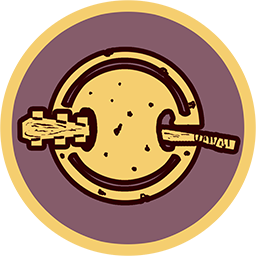 Thebai, the largest and greatest city in Boiotia, is leader of the Boiotian League. Punished for its unpatriotic attitude during the Persian invasion, its leadership was stripped but later restored by Sparta. Thespiae joined the Boiotian League after facing a Thessalian invasion. It is a neighbour and close ally of Thebai, though tensions rose during the Persian invasion.